This is a close-up of a crystal decanter, with two pieces of crystal stemware. 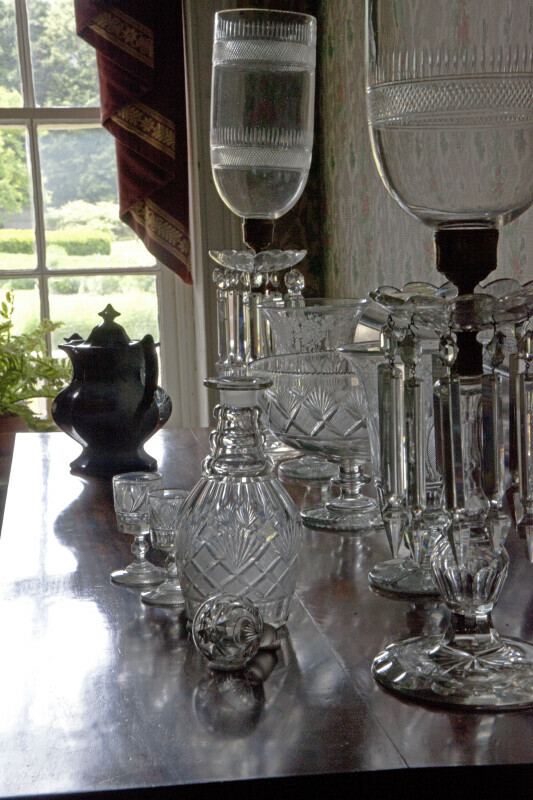 The decanter's crystal stopper can be seen, in the foreground. There are also three crystal bowls, and two crystal lamps, on this wooden surface. Economy was the third settlement started by the Harmonist Society, and is now listed on the National Register of Historic Properties. The site is located in Ambridge, Pennsylvania. For more information about the Harmonist Society’s settlement at “Oekonomie,” visit the Old Economy Village website.